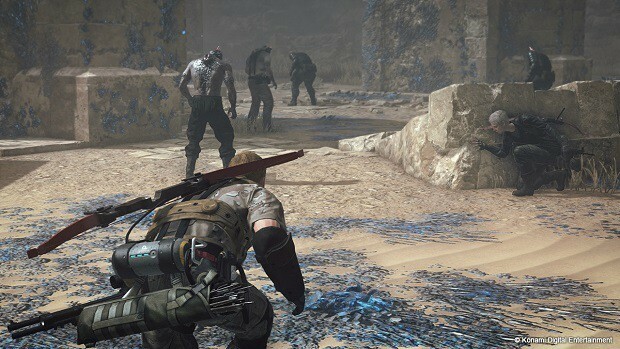 In this How To Upgrade Skills in Metal Gear Survive Guide, we will tell you how can you quickly earn Kuban Energy. After that, we will take a look at some of the better skills in the game and tell you which one of the skills should you upgrade before the others if you want to make your life easier. Upgrading skills is imperative to success in Metal Gear Survive. Upgrading them will allow you to have a multitude of advantages that you can use to fend off the horde. Kuban Energy is required to upgrade the skills. Be sure to check out our Hunger And Thirst Guide to ensure your survival in the game. Netting skills in singleplayer will not earn you a lot of Kuban Energy. First of all, you will need to scavenge the points off of the dead bodies to even get them in multiples of hundreds, secondly, the Online System is much more rewarding if all you are looking for is to upgrade your skills. It can require as much as 10,000 Kuban Energy to upgrade past Level 5. For this reason, you should go to the Online Mode as it will allow you to earn some energy for each kill that you do. You will also get a large amount of Kuban Energy at the end of the game regardless of the result. This is the reason why you should not try to get Kuban Energy using the singleplayer game but rather delve into the online mode using AI Pod Virgil. Also, check out our our Crafting And Resources Guide by heading over to the link! Which Skills Should I Upgrade First? As you will probably know, you can upgrade skills by going to the Base Camp. For each level that you upgrade, you will get a skill point to spend in the Skill Trainer. You will be able to find four options which can increase your Strength, Stamina, Health or Weapon Damage. Put a point into all of these at the start to buff a little bit of everything. When you get to the middle section, you can find abilities which will make a weapon deal more damage by increasing the number of combo attacks, thrust, etc. And towards the right side, you will see skills that your character can learn which will be beneficial such as being able to stomp down an enemy and deal massive amounts of extra damage. Now let’s take a look at some of the skills that you should focus on upgrading first. STR Boost will improve the damage of your attacks in close-quarters. Since the game is about melee damage most of the time, it is good to put points into this. Since the spear and its variants will be your primary weapon for a large part of the game, this combo is good as it can allow you to attack through obstacles and fences while simultaneously increasing the damage output. If things do get too heated, then this skill will ensure that you are covered. You can dodge the attacks while you prepare the attack. It is an amazing defensive ability that can actually make you stay alive in a situation that you would be certainly dead in without the ability. Dive Attack is perfect because it allows you to attack from a higher-ground. Higher ground is great because wanderers cannot get close to you. Dive Attack can be a great way to escape while simultaneously dealing large amounts of damage to the enemy. Just make sure that you do not try this on Special Wanderers. That is all we have for our How To Upgrade Skills in Metal Gear Survive Guide. Let us know if we missed something using the comments section below!